The Nissan Quashquai +2 is a seven seater crossover that has the style of an SUV, the driving feel of a car and the practicality of an MPV. It is also reasonably priced and reliable. 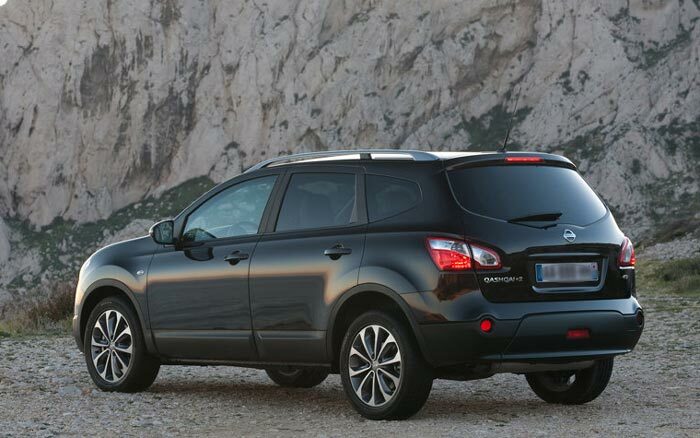 There are a few practical issues that you need to be aware of with this car which I will address later but if these are not a concern to you then the plus points about the Qashqai make it hard to beat if you are looking for a small seven seater 4×4. 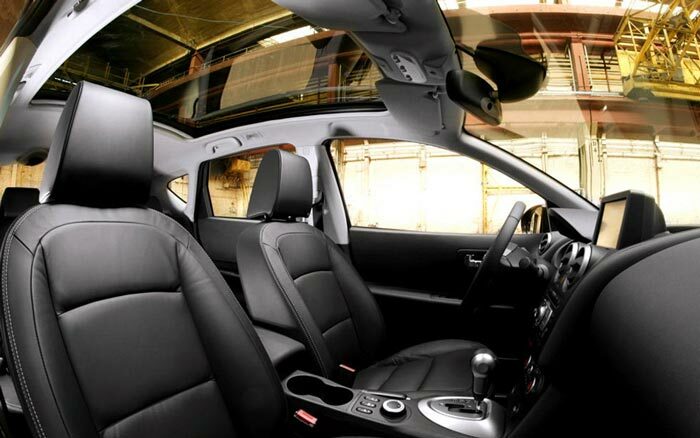 The height of the seats in the Qashqai make getting in and out of the vehicle easy and it won’t be straining your back to get the little ones into their car seats. There is loads of handy storage space for bottles, nappies, snacks or whatever else you carry on your travels. The middle seat in the second row is quite small and it would be difficult to have three child seats next to each other. And although there is plenty of leg room in the middle row the same cannot be said for height in the standard Qashqai where taller adults may well find their heads touching the roof. Fortunately the +2 addresses this issue with more headroom for passengers. The boot is big with 550 litres of space available in the boot with the middle row seats slid forwards. If you fold them down as well you get a decent 1,520 litres. Although beware that with all seven seats in use the boot is tiny. 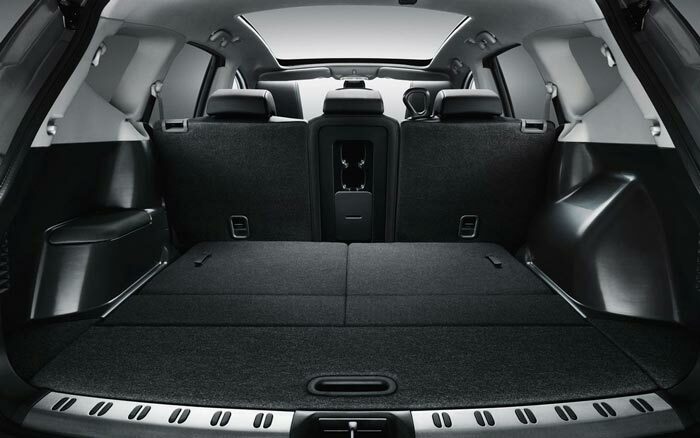 Because the boot is higher up than MPV rivals it is more difficult to load heavy items. As is the case with most smaller seven seaters the boot seats are not particularly comfortable and are only really suitable for small children. The main problem with them being that they are virtually flat to the ground so unless you have very short legs your knees end up level with your ears. There is quite a range of engines to choose from with some smaller diesel engines returning some good fuel economy figures such as the 1.5dCi which does 52.3 mpg or the 1.6dCi with stop start which returns 63mpg and has better matched power to pull this car making it our engine of choice. This engine has a very respectable 0-60 mph time of just 10.9 seconds. With a car that sits up this high with good ground clearance you will experience some degree of body roll as you go around corners. But there is plenty of grip on the road and the over all driving experience is one more similar to driving a car than a four by four with nice direct, responsive steering. With so many European manufacturers producing cars that have an upmarket interior feel with soft touch materials the Qashqai’s hard plastics look a little dated although everything is ergonomically laid out for the driver and the interior should stand up to family wear and tear well. The view out of the front for the driver is good but the rear view is not good because of the rear pillars that obscure the view which could make some lane changing manoeuvres a little tricky. Some models come with a useful camera to help the driver reverse the car. The suspension in this car is set up perfectly for a comfortable ride and you will barely notice the potholes and bumps in the road. The cabin is quiet apart from some wind noise from the large mirrors. If you go for one of the samller engines like the 1.5dci or the 1.6dci then they can be a bit noisy if you need to work the engine hard. The Qashquai achieved a five star rating in the Euro NCAP tests and all cars have front passenger and side airbags and traction control as standard. The not surprisingly the diesel engines give the best fuel economy and across the range they return some excellent miles per gallon figures. The 1.6 dci with start stop technology is the most efficient returning 63mpg. The CO2 figures are good as well for this engine at 119 g/km meaning that car tax will be reasonable. 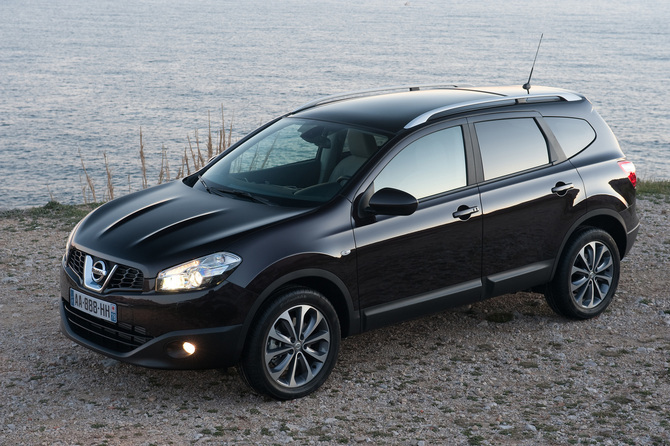 Factor in Nissan’s excellent reliability record with the qashqai and you won’t find yourself shelling out much on maintenance costs either. All this means the running costs are excellent for a seven seat 4×4. 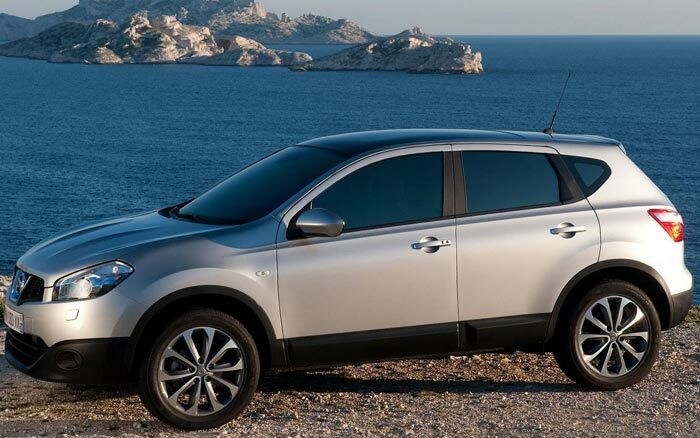 If you are looking for a reliable, well built, comfortable seven seater 4×4 with reasonable running costs the Nissan Qashqai +2 has to be at the top of your list of cars to consider.